Our Unique bedroom door range offers over 2500 different design, colour and finish combinations. Whether you’re looking for laminate wardrobe doors, hinged or gloss wardrobe doors, we have everything you need to keep your bedroom looking stylish and unique to you. The show Unique doors are available made to measure to suit your individual requirements. We offer a full range of matching accessories to compliment each door or bedroom style. 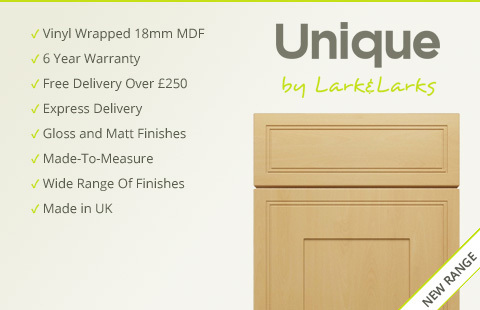 When purchasing a new bedroom unit doors or set of replacement bedroom doors from the Unique range you can be sure that you are getting the very highest quality as all Unique doors or accessories come with a full 6-year guarantee. Unique doors and accessories are made to measure and dispatched using our express delivery service within 12 to 14 working days. Browse our full range of bedroom replacement doors today. For curved doors please see the Unique bedroom door accessories section.